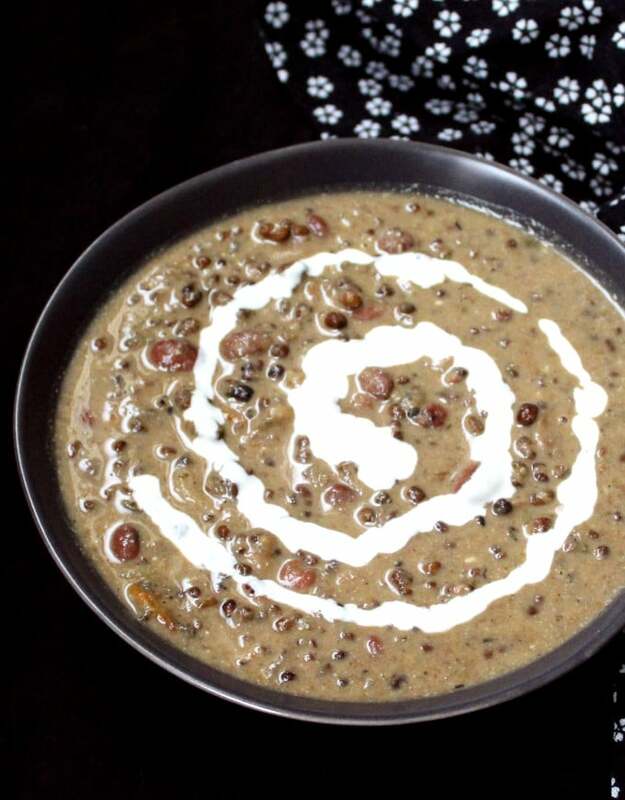 An Instant Pot Vegan Dal Makhani that’s creamy, perfectly spiced, and good for you at under 70 calories per serving. 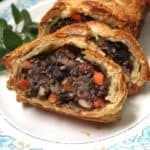 The prep time for this recipe is under 15 minutes, and you only need to soak the beans for an hour. 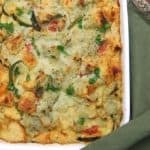 A soy-free and gluten-free recipe with a no-oil-added option. To say I’ve been using my Instant Pot a lot would be to understate facts. This is in no way an endorsement of that product, and any electric cooker with similar functions would work just as well. 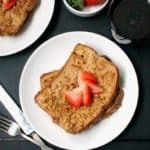 But since this amazing appliance came into my kitchen, I’ve been trying out all of my favorite recipes in it because it is such a time saver, and so far so great. This Instant Pot Vegan Dal Makhani is one of my new favorites. 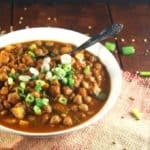 In the past, making dal makhani, a popular Indian restaurant dish that no doubt many of you have already eaten at some time or another, entailed soaking the beans (at least the red kidney beans) overnight, pressure cooking them separately with the lentils, and then putting it all together. For this one-pot makhani, I can do away with all of that annoying stuff. And I can have dinner on the table in under an hour. 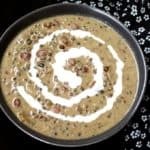 I have shared dal makhani recipes with you in the past, including versions made in the slow cooker and pressure cooker, but this one is certainly the easiest and the best tasting. 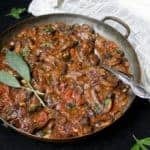 Even better, I don’t veer too far from the traditional recipe, except, of course, to make it vegan (which the original is not– makhani in Hindi means “buttery”, and I’ll let you figure out the rest). 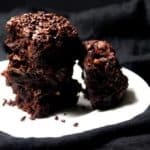 I gotta stop chatting now so I can share this gorgeous recipe with you. 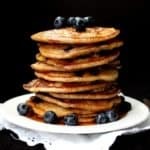 Our favorite way to eat it is with white or brown rice, and/or roti. A vegetable subzi, like this Jeera Aloo, makes a perfect side for a meal that will leave you licking your fingers and plates. 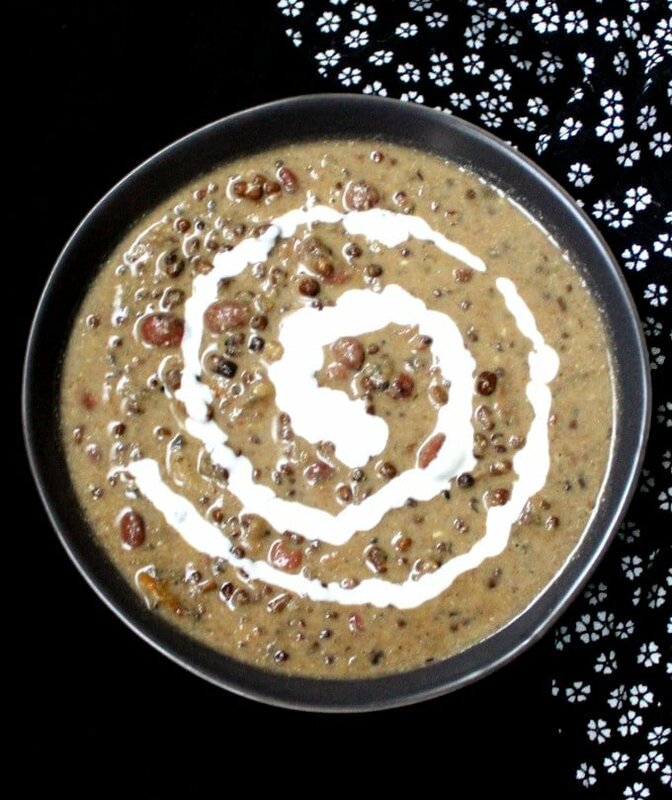 An Instant Pot Vegan Dal Makhani that’s creamy, perfectly spiced, and good for you. The prep time for this recipe is under 15 minutes, and you only need to soak the beans for an hour. 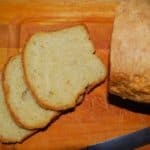 A soy-free and gluten-free recipe. 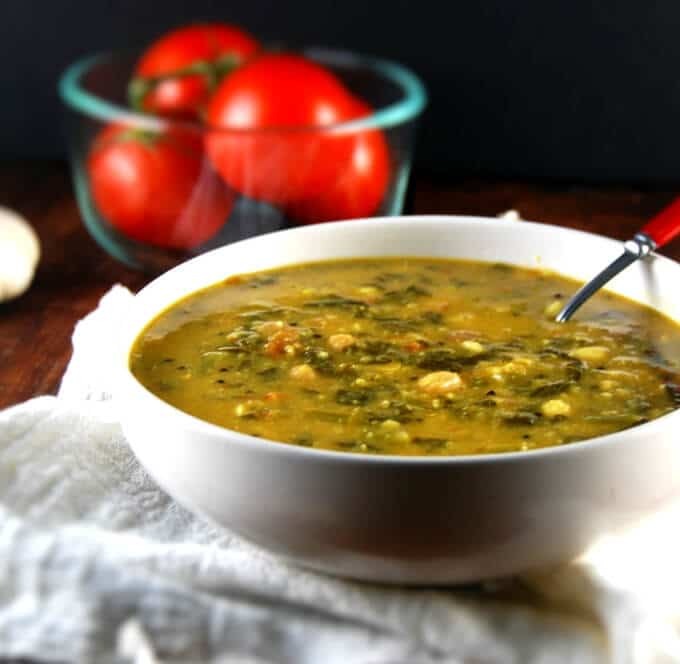 1 cup black gram dal or udad dal I used saboot udad, which is whole udad beans with the black skin on, but you can also use the more easily available white udad dal, or the split udad with the black skin on. The skins do add a slightly earthier flavor, so if you want a cleaner tasting dal, you should go with the white one. Soak the udad dal and kidney beans together for an hour. Be sure to drain the beans and dal before using. Place the steel liner inside your Instant Pot or electric cooker, and turn on the saute function. Heat the oil and add the cumin and bay leaves. As the cumin starts to darken, add the onion, ginger, garlic and coriander leaves. Add a pinch of salt and ground black pepper and saute for a couple of minutes until the onion becomes soft. Add the tomatoes, turmeric, cayenne, and garam masala and stir to mix. Add the drained, soaked beans and dal along with the cayenne, garam masala and kasoori methi. Stir well to mix. Add 4 cups of water or vegetable stock. Add salt to taste. Cancel the Saute function on the Instant Pot, and click on the lid. Press the "Beans" function on the Instant Pot which sets it to pressure cook for 30 minutes. Wait until the pressure has dissipated, or, if you're in a hurry, turn the venting knob to let all the steam escape before opening. Be sure you are following manufacturer directions as you work with the Instant Pot or cooker. Stir the dal well. If it appears dry, add some water or stock, and turn the saute function until it heats through. Check salt. 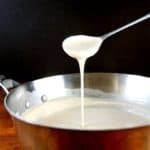 Stir in the cashew/almond paste or yogurt. 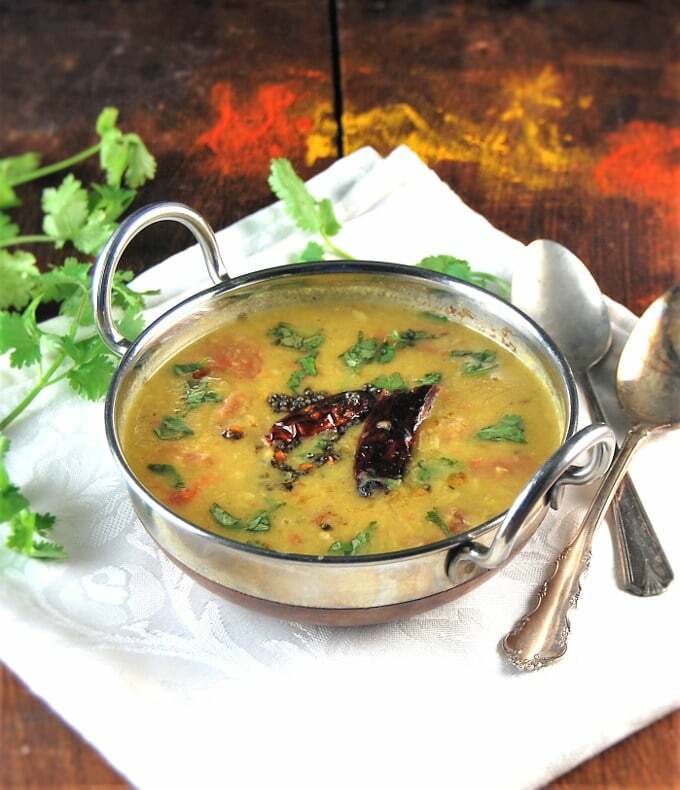 You can also squeeze in a few drops of lemon juice if you want your dal to be tangier. 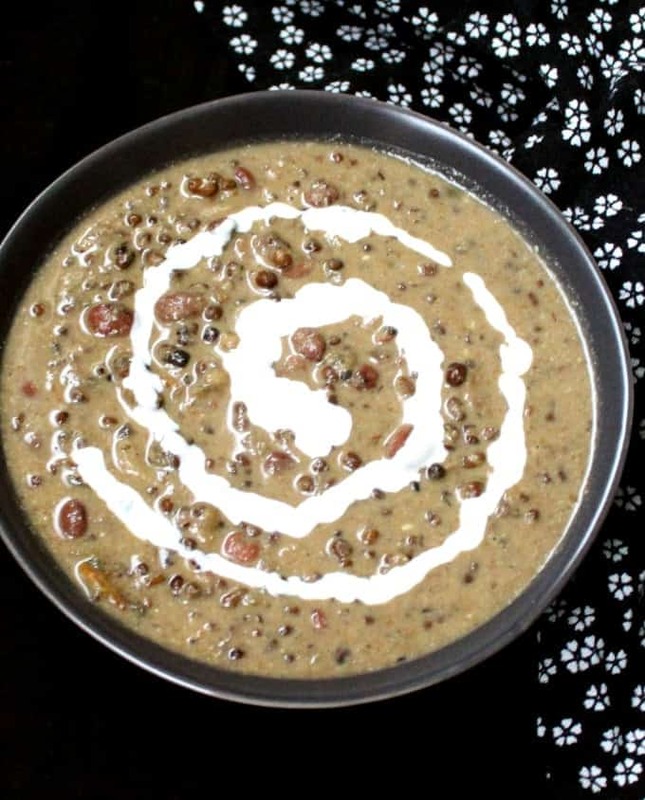 Use a potato masher to mush some of the dal and beans, making it creamier. Or use an immersion blender to blend the dal only slightly (you want some whole beans there and not just a uniform mush). You can also remove a couple of cups of the dal to a regular blender and blend until smooth, then add back to the rest of the dal. Serve hot with rice or roti. Enjoy! You can make this recipe free of added oils by water sauteeing the onions, ginger and garlic in the first step. Use a tablespoon of vegetable stock instead of the oil for best results. See recipe for Cultured Cashew Yogurt here. Recipe for the best Vegetable Stock here. The instruction says to “add tomatoes”, but I can’t see what/how much tomato you are using? I will have trouble finding udan dal. 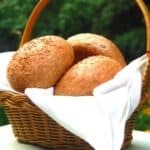 What would you recommend to use from a Turkish store instead? They have red lentils, black beans, black eyed, white beans, maybe brown lentils. You could use red or brown lentils instead of the udad. Hi. I’m trying to decide if I should get an Instapot, specifically for Indian cooking. Have you found that you save time using the Instapot or is it more of a convenience since you can walk away from it without worrying about the food overcooking? Thanks! Hi SS, it is certainly a convenience, compared to the pressure cooker which you have to watch. I really like it for Indian cooking. As always, super yummy! Keep it up, V.
Heather, so happy you made this– thanks for letting me know. Miss you lots! What’s the serving size in a cuo per person. In a regular pressure cooker, yes. Just on the stovetop, no, because the beans and lentils will take much longer to cook. 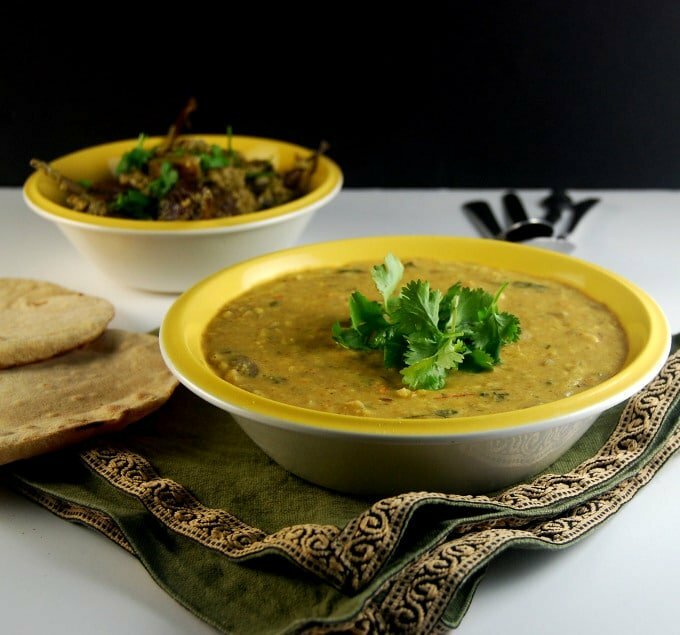 This dal is super yum. Tried it tonight and everyone loved it, even the kids.